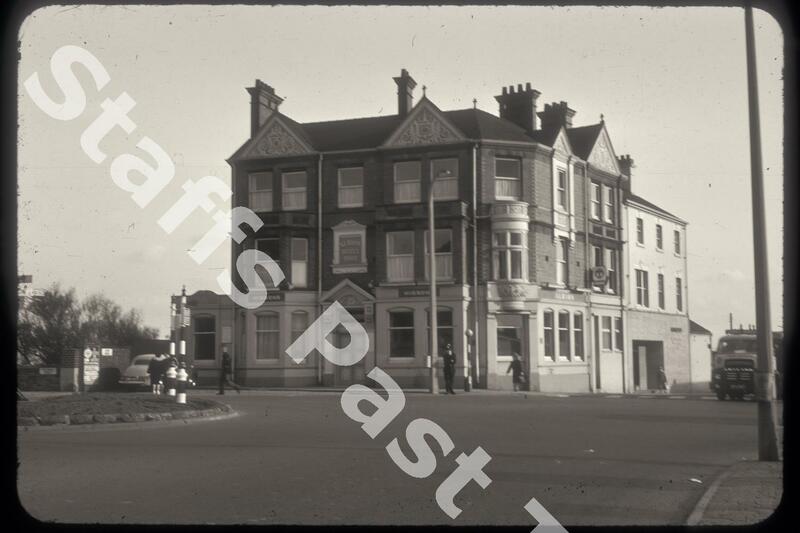 Description:The Albion Hotel stands on the corner of Lichfield Street and Old Hall Street in Hanley. This Albion Hotel building dates from 1902. 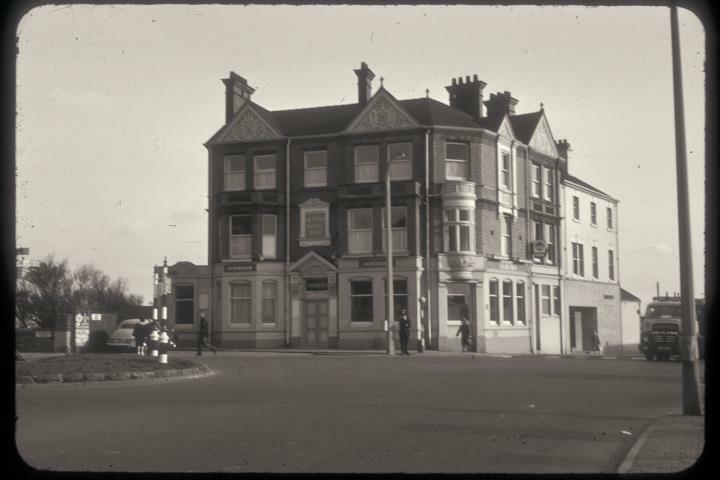 There was a previous Albion Hotel, a posting-house, on this site in 1865 and an early 19th Century grand Albion House in the same area. A posting house was usually an inn where horses were kept for hire or for stage coaches. The red brick built inn has ornate gables and a half cylinder oriel (or bay) window on the corner. The lorry on the right is coming up Lichfield Street, the roundabout is at the junction with Old Hall Street and the photographer was standing at the end of Stafford Street. All of this is now pedestrianised. Today the 1970s Blackburn House towers over the hotel.